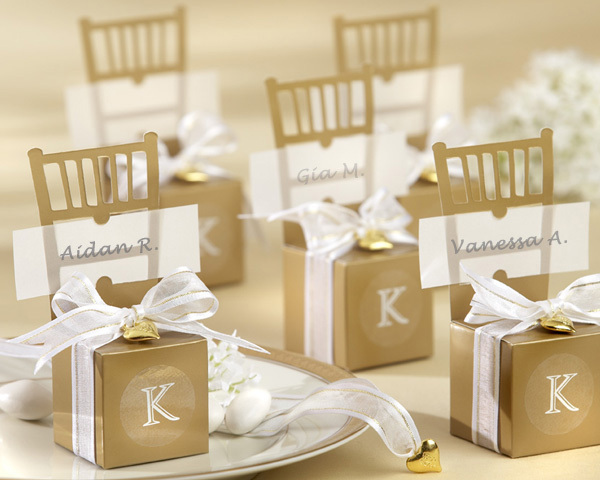 Mini Gold Chair Favor Box (Can be Monogrammed) - EconoBride - Budget friendly wedding favors. Please note: Personalized items require five business days for processing. Assembly is required.